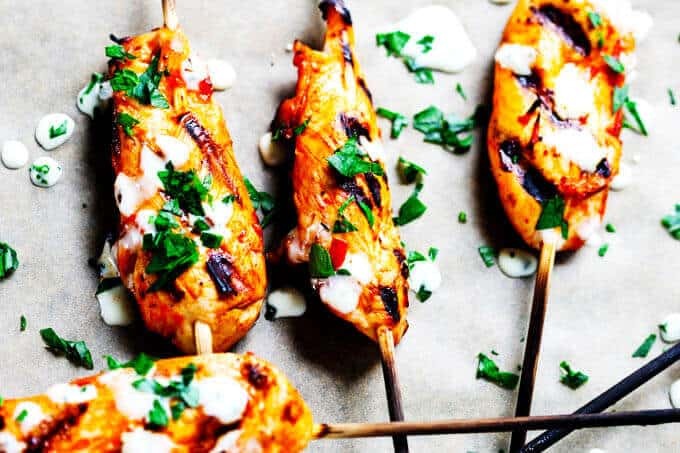 Honey Harrisa (affiliate link) Chicken Skewers with Garlic Mint Sauce – amazing combination of Mediterranean flavors in these super tasty skewers with a dollops of refreshing garlic mint sauce. My guests couldn’t get enough. The grilling season is officially open! Simply throwing things on the grill and having a dinner ready in no time was a dream I had through the whole winter. But thankfully cold weather is behind us (at least on the East Coast of USA) and we can do outdoor cooking any time of the week. 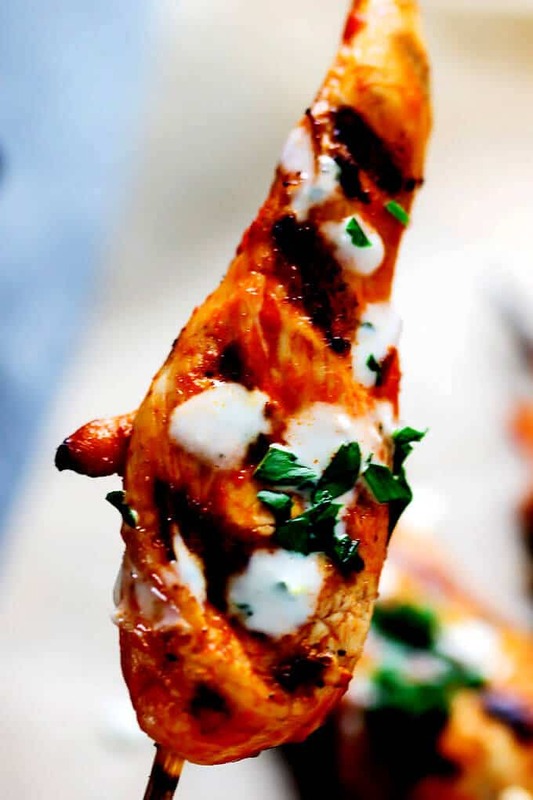 Because I absolutely love all the Mediterranean flavors I thought that these honey harrisa (affiliate link) chicken skewers with garlic mint sauce will be a perfect addition to my summer repertoire. My husband is so amazing! He basically created a second living room outdoor for me 🙂 Ok, for us, but I am so in love with it, that I can spend any minute of my summer out there. He bought a couch with beige cushions, with matching coffee table and matching outdoor drink fridge! (that was actually insane, the fridge didn’t come together with the couch…he found it in Home Goods; 100% match). On top of that, he also got us an outdoor rug, so our deck feels super cozy and comfortable. It’s a perfect place to enjoy summer cocktail and easy, no fuss meal. Speaking of easy and no fuss meal. 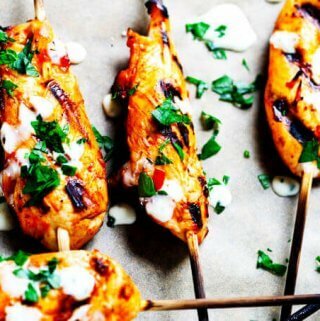 How easy are these honey harrisa (affiliate link) chicken skewers with garlic mint sauce? Well, except for the fact, that in order to get this incredible Medditerranean flavor, they need to be marinaded, the whole preparation takes NO TIME. 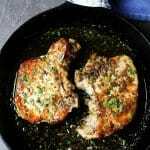 Mixing marinade ingredients and cutting chicken into the strips takes no more then 5 minutes. Grilling them takes 3-4 minutes on each side. But you want to marinade them. 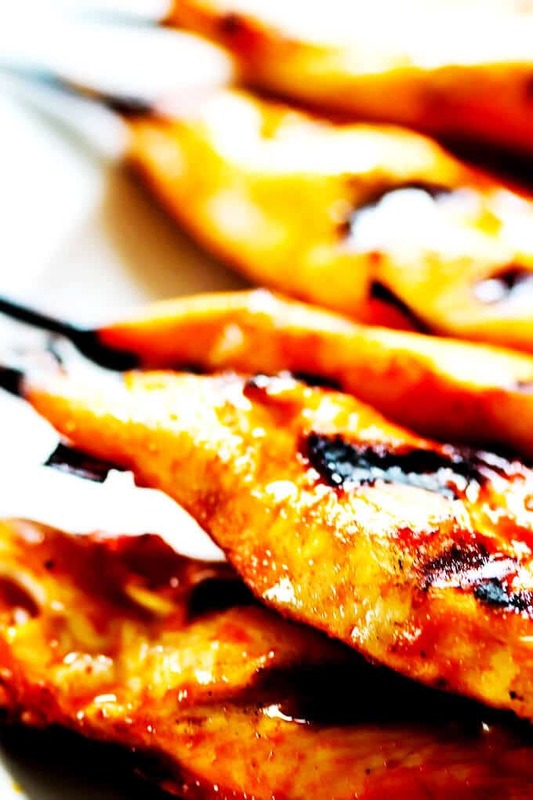 So the best approach is, to prep the marinade in the evening, add the chicken, let the marinade do its job and than grill the skewers the next day. 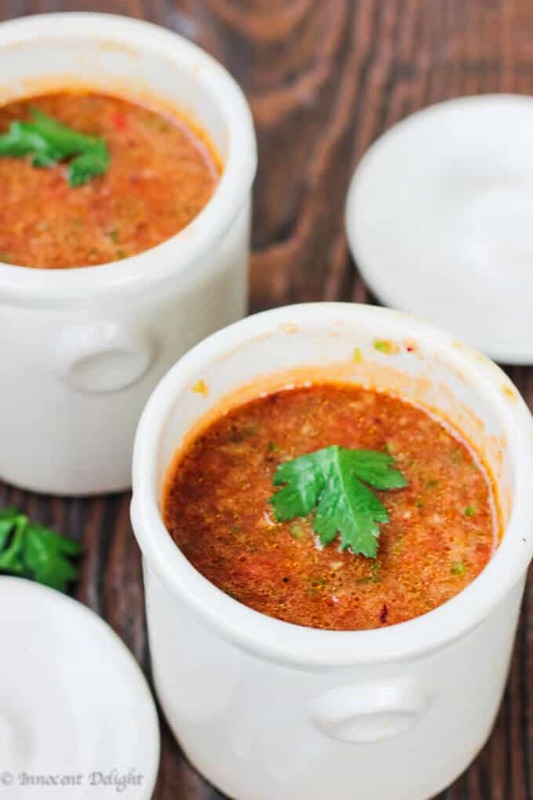 Garlic sauce takes no time either, as the food processor (affiliate link) will do all the work for you. If you are interested, here is a photo of harrisa (affiliate link) that I’m using (I’m not affiliated with this brand, I just wanted to show you what I like). You can find it on Amazon. 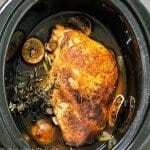 Simply follow the “Get Ingridients” button in my recipe and you can get to Amazon. Type in the name of this harrisa (affiliate link) and you can have it in no time. But, please make sure that you order the mild version. 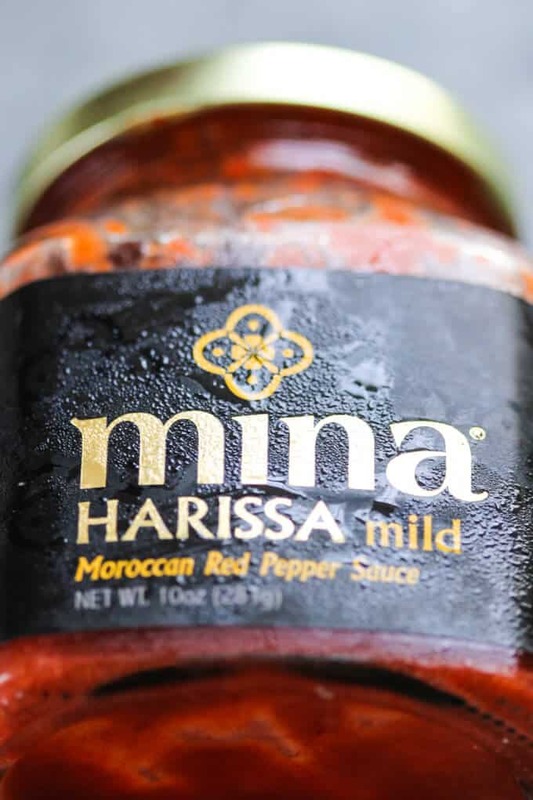 They also have hot/spicy harrisa (affiliate link), which is super hot and you shouldn’t use more than 1/2 teaspoon of this. I like the mild one as its giving me this amazing pepper taste and I can use a lot of it. 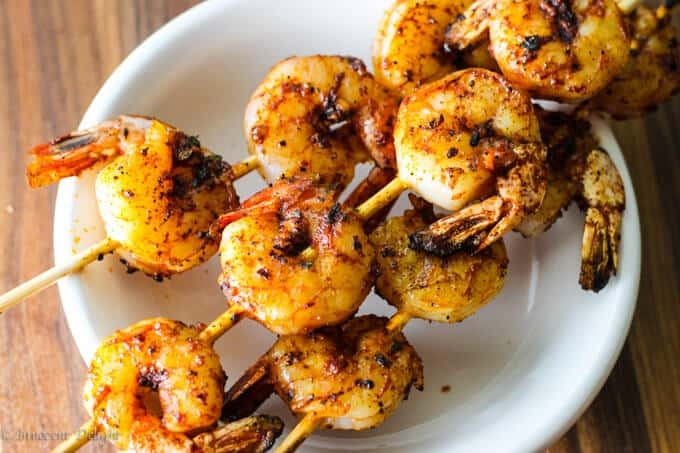 I do have a spicy one too and if you want these chicken skewers to have a little kick feel free to add 1/2 teaspoon of spicy harrisa (affiliate link). I used the spicy version of harrisa (affiliate link) in this Shakshouka – Classic Mediterranean Breakfast. 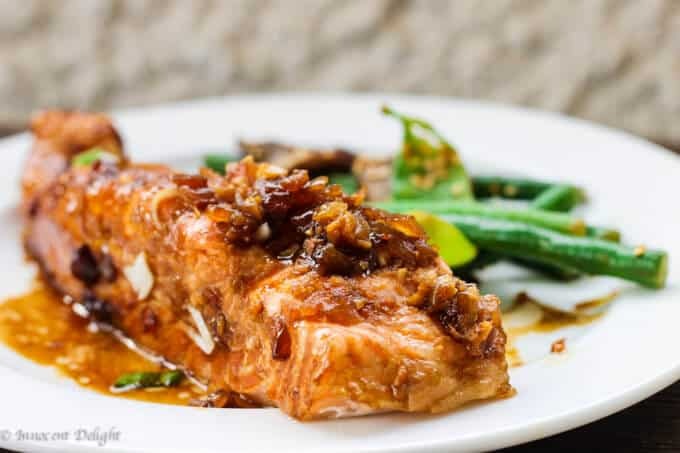 Please try this amazing recipe. It pairs so perfectly with either this Summer Panzanella with Crusty Garlic Bread or with this unique Potato Salad. If you do make it, please let me know how you liked it and show me your photos at #innocentdelight. Cheers friends and happy summer! 1. 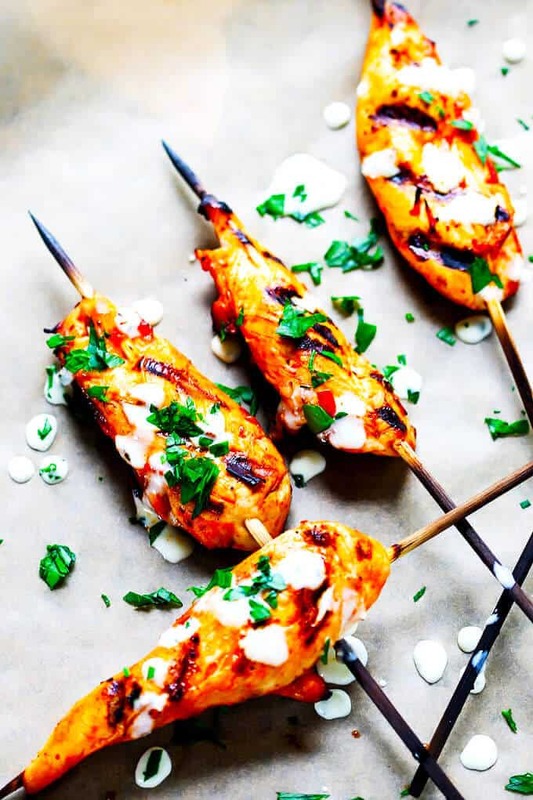 You can sprinkle skewers with fresh chopped parsley for more flavor and dramatic look. 2. 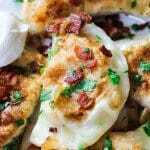 You can also use boneless, skinless chicken tights, cut up into strips instead of chicken breast. 3. For spicy version you can add 1/2 teaspoon of spicy harrisa.